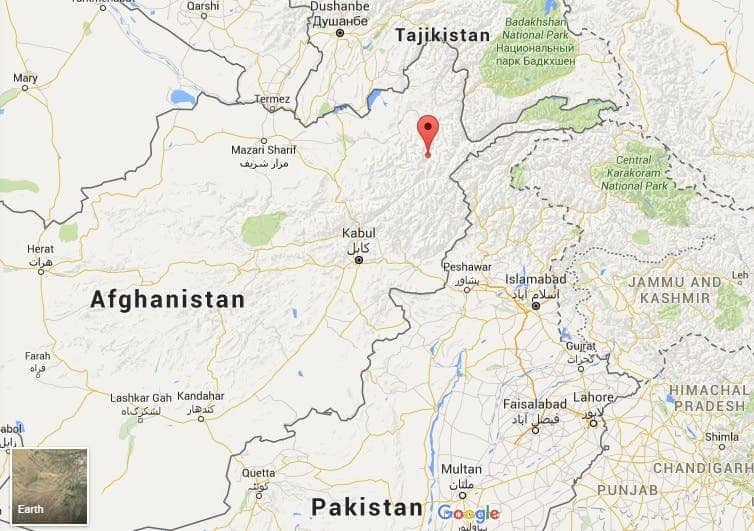 A 7.5 earthquake has struck near the Hindu Kush region of Afghanistan, close to the border with Pakistan and Tajikistan. Most of the damage was actually felt in Pakistan, but its extent is not yet known. A 7.6 earthquake struck Pakistan in 2005, killing 86,000. While thankfully, this one doesn’t look so bad, authorities still expect casualties. Local media is reporting that a building has fell down in Peshawar, and there are also reports of landslides in the area. Geologically speaking, the focal mechanisms indicate the rupture occurred either on a near-vertical reverse fault, or a shallowly dipping trust fault. The tectonic cause is the Indian subcontinent which continues to move northward and collide with Asia at a velocity of almost 4 cm / year. Focal mechanisms indicate rupture occurred on either a near-vertical reverse fault or a shallowly dipping trust fault. At the latitude of the earthquake, the India subcontinent moves northward and collides with Eurasia at a velocity of about 37 mm/yr.